The question is, will that be enough to save stores on the brink? Experts say don't count on it. Shoppers have made it clear they want to do more of their shopping online and on their smartphones. Shares in Amazon (AMZN) are up 55% this year. Experts say 2018 could bring more of what the traditional brick-and-mortar stores suffered through in 2017. And that wasn't pretty. 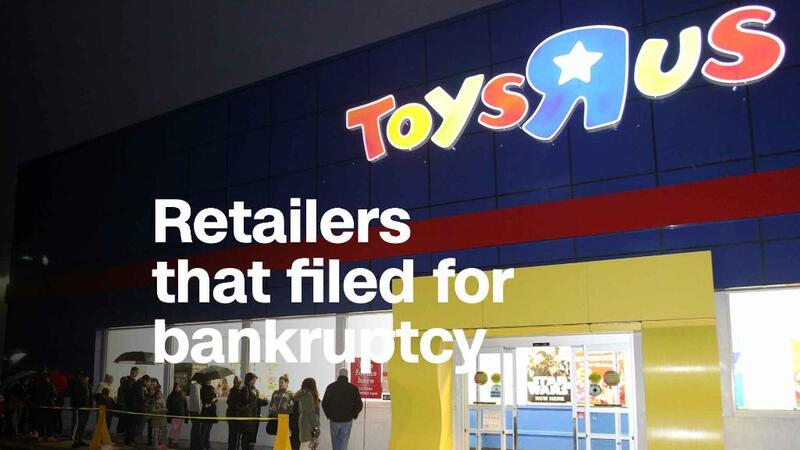 There have been 662 bankruptcy filings in the retail sector so far in 2017, according to BankruptcyData.com. That's up 30% from the same period last year. At a time when employers hired nearly 2 million workers and unemployment reached a 17-year low, retail was one of the biggest job losers -- employment fell by 36,000 jobs. Only telecommunications lost more. But those in the industry say this was not what others referred to as a "retail apocalypse." Instead, it's a normal evolution. "There is always going to be winners and losers in an industry like this. It constantly in a state of flux," said Tom McGee, CEO of the International Council of Shopping Centers, a trade group of mall owners. "The whole image of the demise of traditional retailing is overblown." McGee points out that occupancy rates at the nation's malls remain at about 93%, and that the number of enclosed malls have remained stable, even though high-profile department store chains such as Sears (SHLD), J.C. Penney (JCP) and Macy's (M) have closed some of their anchor locations. But while it's true that store opening announcements are also up compared to 2016, according to Fung, those openings total only 3,433. That's just under half of the number of store closing announcements. And most of those opening plans were announced by Dollar Tree (DLTR) and Dollar General (DG), two bargain brands. "It's true that 2017 has been a challenging year. But things have picked up," he said. Kleinhenz said the biggest problem for retailers now is that customers can comparison shop so easily that even when they buy in the stores, "there's very limited pricing power for retailers." "Margins are getting thinner and thinner," he said. "Some of the closures are due to that." "I've always been optimistic about this holiday. The question is going to be who the winners and losers are going to be," said Greg Portell, lead partner in retail with consultant A.T. Kearney. He said he expects a rash of new store closing announcements -- and perhaps bankruptcy filings -- early in 2018 when the dust settles from this holiday season. "There are A and B students out there who are worth celebrating," he said. "But not everyone can be an A student."